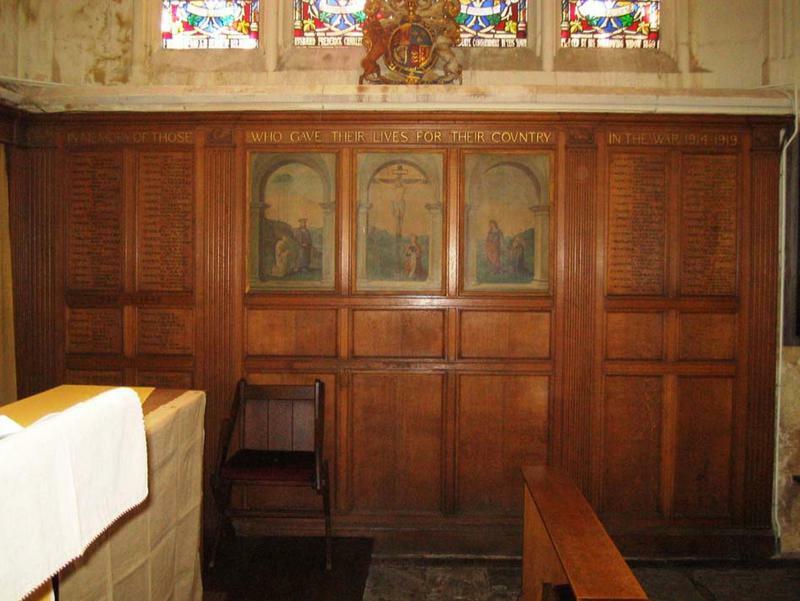 An oak panelled screen with painted depiction of crucifiction on centre three panels. 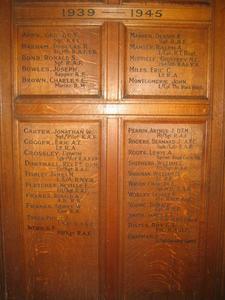 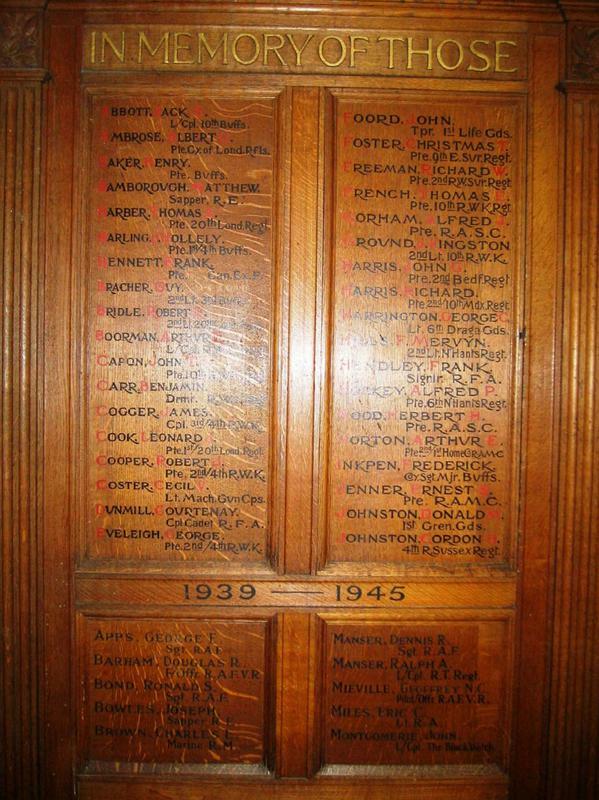 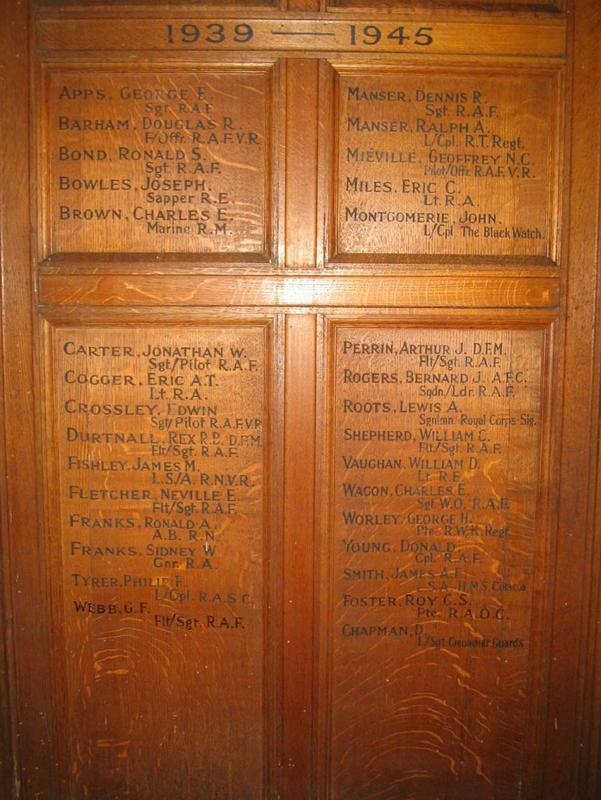 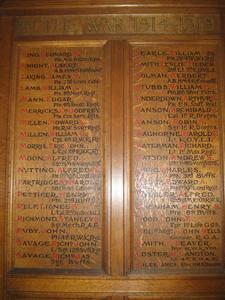 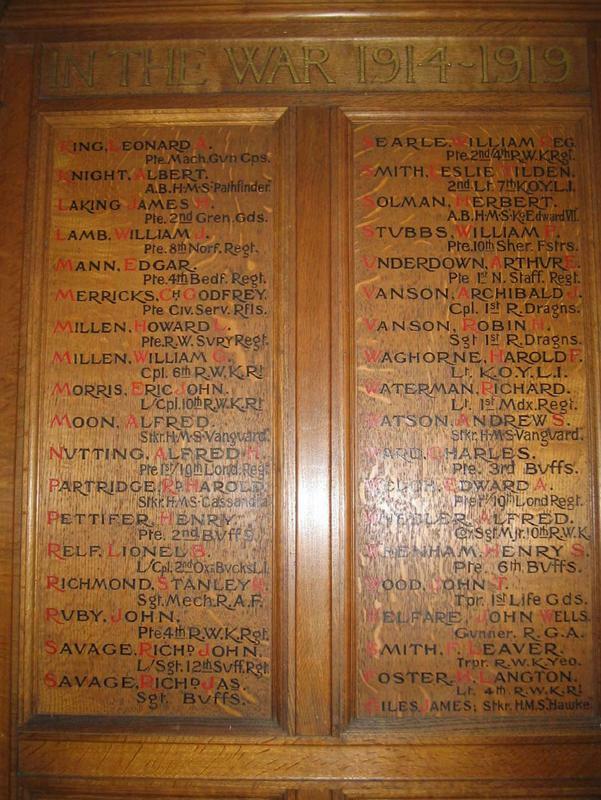 The First World War names are in black and red lettering in the upper panels and the Second World War names are in black lettering below. 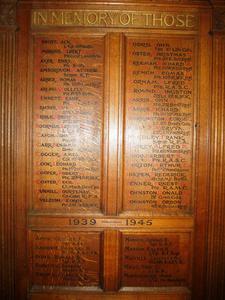 Information shown: Surname, forename, rank, regiment.